Make a first deposit and get a 50% match up to 50 GBP! 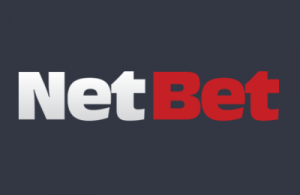 NetBet is one of the more experienced sportsbooks on the market and has made good use of its time by becoming one of the most beloved European bookmakers. The sports sector of the NetBet website has been growing over time, putting a great deal of focus on traditional sports markets. To entice people to come give NetBet a try, there is a 50 GBP welcome offer. The bonus is given automatically at the time the initial deposit is made. This means you can start enjoying the benefits of your bonus money immediately and also do so through the NetBet app. After you download and start using the NetBet mobile app, there may be special promotions available to you. However, you have a choice to use the special mobile promo or the 50 GBP welcome offer. If you choose the special mobile promo, you will receive a 10 GBP free bet when you make your first mobile bet. The free bet can be used on one of 25,000 sporting events. To activate the mobile bonus, simply make a bet of 10 GBP on an event with odds of1.6 or greater. The bet typically settles within 24 hours, which means you’ll have your free bet within a day. The free bet isn’t withdrawable because it is simply a stake. You can withdraw the winnings. If you choose the 50 GBP welcome offer instead of the mobile bonus, you will have to enter the bonus code WELCOME50 at the time you register so the money is applied at the time you make your deposit. Again, you have a choice between the 10 GBP free bet or the 50 GBP welcome offer. The 50 GBP welcome offer automatically gives you bonus money after you make a 100 GBP deposit. This is actually a 50% deposit bonus, as it gives you a 50% match on your deposit. To withdraw winnings, you have to wager your deposit and bonus amount six times. If you deposit 100 GBP, you must wager 900 GBP before you can cash out winnings. You have 60 days to meet the wagering requirements. The offer is only available to UK residents and the Neteller and Skrill deposit methods forfeit the bonus. Make sure you enter the WELCOME50 promo code when prompted during the registration process. Once this code is entered, you have 24 hours to make your first deposit. If you don’t make your first deposit within 24 hours, the code will expire and you won’t be able to claim the offer. To ensure the app is properly installed and that you receive your new customer bonus, there are steps that must be followed. The below step-by-step guide will help you through the process. You can register for an account before downloading the app or you can register directly from the app. Simply click the registration button and provide the requested information. You will have to certify that you are 18 years of age or older and enter the WELCOME50 promo code to receive the offer after you make your deposit. When downloading the app, it’s only available for Android on the NetBet website. The iOS app is available in French only. To receive the 50% deposit match, you must deposit 100 GBP. The bonus money is automatically credited to your account after you make the deposit. Be sure to deposit the money within 24 hours after entering the bonus code during the activation process or your bonus won’t be activated. Also, deposits made by Skrill or Neteller void the bonus. To use the 50 GBP bonus, you will have to bet the sum of your deposit and bonus cash six times before you can withdraw any winnings. You have 60 days to complete the six rollovers. If you haven’t met the wagering requirement before the 60 days expire, the bonus money and any winnings resulting from the bonus will be forfeited. Customers that download the NetBet app can take advantage of weekly offers. The app description doesn’t state what those offers are because you can find out after you register for an account and download the app. These are highly exclusive offers that will enhance your experience and help you win even more money. Of course, there are also other promotions site-wide that you can take advantage of. Many times, multiple promotions can’t be combined. There are many payment methods accepted by the app. However, Neteller and Skrill will void any promotions you wish to take advantage of. Deposits made with a credit card, debit card, MasterCard, or Diners Club qualify for bonuses. PayPal, Trustly, AstroPay, SoFort, Bitcoin, QiWi, bank transfer, and WebMoney are other options you may wish to use. Because promotions are open to UK residents, the payment methods can vary. The minimum deposit is 10 GBP. When making withdrawals, you can withdraw to credit card accounts, but the processing times can take more than four days. You can also withdraw to your eWallet accounts. The minimum withdrawal amount is 10 GBP and the entire withdrawal process can take up to 8 days, especially if the account is subject to verification. Verification involves providing proof of address, financial account ownership, and identity. There are no fees associated with withdrawals and deposits using the methods discussed above. Maximum withdrawal amounts can vary. Bank transfer, credit cards, Skrill, Neteller, WebMoney, QiWi, and Moneta have no limits. PayPal has a maximum withdrawal of 5,000 GBP. The amount of time it takes to complete a withdrawal can take an average of up to 4 days for eWallets, up to 8 days for credit cards, and up to 12 days for bank transfer. Reliable or Scam: How Safe is the NetBet App? NetBet is safe, which is evidenced by its reputation. The bookmaker is also known for its excellent customer service and highly competent staff. The competency is verified through its licensing by the UK Gambling Commission. The licensing requirements are very strict, such as making sure there are safeguards in place that protect against underage gambling and gambling addiction. NetBet has resources in place from GambleAware and others so those potentially facing Gambling Addiction can find the help that they need. Furthermore, NetBet has a “Very Good” rating by the Customer Service Quality Audit. They also hold the “Customer Support Champion” award for the first quarter of 2017 by LiveChat. Measures are taken to ensure a fair gaming experience, which is another licensing requirement. Overall, the NetBet app is very solid. Although the iOS app is available in French for French players, the Android app is the most widely available app for NetBet. There is a link on the NetBet website that allows you to download the app to your Android device. If you don’t have an Android device, you won’t be able to take advantage of any mobile-only promotions, but you will be able to take advantage of site-wide offers, including the 50 GBP bonus when you make a 100 GBP deposit. This is a very reputable bookmaker that has gone to great lengths to provide a fun and meaningful betting experience. How do I get the NetBet app? You can download the Android app directly from the NetBet website. You may have to choose the NetBet file from your device’s downloads folder to complete the installation process. The app is only available for iOS in French, so French players can take advantage of mobile-only offers as well. For all other players unable to download the Android app, sportsbook offers can be taken advantage of via the mobile browser. Do I need a NetBet promo code? Yes. To get the 50% deposit match up to 50 GBP, you will need to use the WELCOME50 bonus code. This code must be entered during the registration process. If you don’t immediately make a deposit, be sure to make your deposit within 24 hours of entering the code. Yes. NetBet gives promotions to mobile app users. If using your mobile browser, you won’t be able to take advantage of these weekly offers, but you will be able to opt into promotions that you will find after clicking the promotions link on the website.